After the success of Tamil horror comedy flick Devi, director AL Vijay is back on his path of unusual he left with Madrasapattinam and Deiva Thirumagal. Though Vanamagan isn’t impressive as the former ones did, I really want to appreciate him for taking different subjects and experience things. For a tribal role Jayam Ravi isn’t new, as he already done one in Peranmai but what makes difference was he comes from remote and expresses emote instead of dialogues. Vanamagan (Tamil movie) is about how modernisation and industries destroys the forest and disrupt the tribes who adopt nature as their belonging… but wished the movie adjoin this subject strongly rather moving around cities for first half of the film. Kaviya is a very rich girl and orphan, growing under guardian of her uncle, is carefree and enjoys life on her wish. During a holiday in Andaman Island with friends, she broke into a protected area and accidently hit a tribe by the car. Seeing him bleed, they took him to hospital and later brought to Chennai for further treatment without let know anybody. Back to conscious, the tribe Vaasi got into violence and she was force to take him home, where she learns about the tribe’s behaviour and try to control him. At a moment things went wrong, Vaasi was caught by police and shifted to Andaman where they tried to kill him, but Kavya interrupt and they both escape into forest. And what remain answer everything. 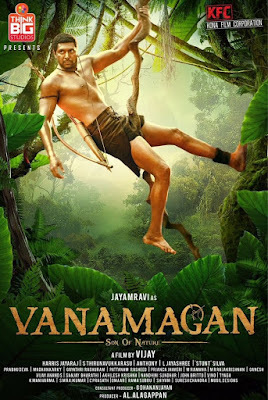 You can’t keep away the thought of Tarzan or George of the jungle even looking at the poster or trailer, where Jayam Ravi hanging from a root. For Ravi, his body, look and height are apt to the role of Vaasi (Kattu Vaasi), an indigenous tribe unexposed to outside world. But his role as tribe there isn’t much action for him to do or we to feel adventure or we lack interest to watch it as we have seen similar movies earlier… the humour isn’t that much fun or interesting. Sayyehaa as Kavya is beautiful and captured my attention through her dancing skill than her acting! Perhaps the songs were choreographed by Prabu Deva who’s also called as Indian Michael Jackson. She tried to be beautiful with her expressions and being shown as senseless on things and turning positive all of sudden doesn’t suit her well or she did about. Thambi Ramaya did little bit comedy and his eagle map line is good. The film captures the beauty of caressing here and there and the feeling of touch, the real one, which has almost lost in the gadget world, is perceived well. Stroke arrows on animals on television, watching through car sunroof and the tiger fighting like Captain (Vijayakanth) and the tribe on-board to Chennai all makes senseless and boring. Feels the director has approached the movie from a common perspective rather studying well about tribes of Andaman, to give more emotional detail to the subject. Music is by Harish Jayaraj and Vanamagan was his 50th composition… the songs were good to listen and the cinematography is wonderful and captured the beauty of forest and waterfalls so well. But the BGM is a bit old charm and is tuned for African forest instead of Asia, which I feel has a distant tone. While I appreciate the effort put by the team to give a different experience and explore a world at its brim, could have scored an interesting screenplay rather applying Hollywood shades. I feel Pulimurugan is better than Vanamagan! 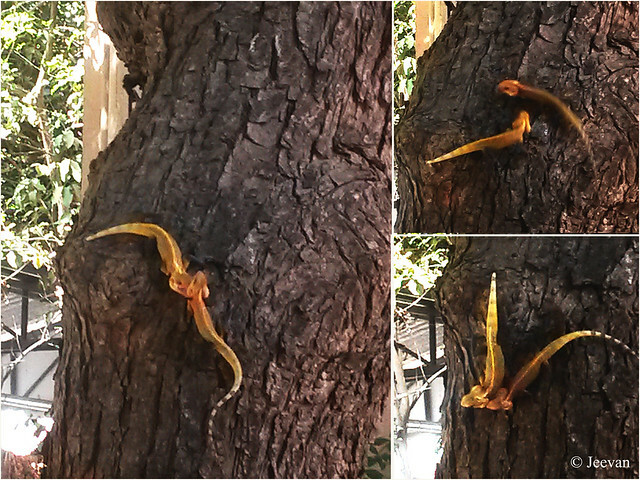 Other day I got to see two Oriental Garden Lizards fought at the courtyard and the two clashed ferociously and before come back with mobile to shoot the fight, they climbed upon the Neem tree, in front of our home, while continue to fight. They fought for about a minute or two and run to disappear behind the neighbour’s compound wall. The Neem tree is also belongs to the neighbour’s but outgrown into our courtyard. In the collage above you could see the lizards in different action postures and the one in right above sees them chasing in rotation manner. 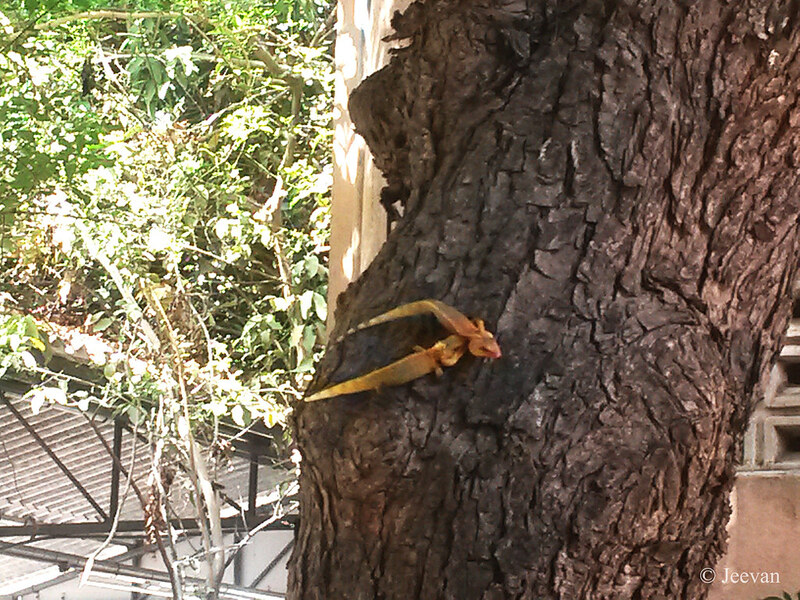 The Oriental Garden Lizard or Changeable Lizard is an agamid lizard found widely distributed in Asia. It is generally a light brownish olive color, but the lizard can change it to bright red, to black, and to a mixture of both. 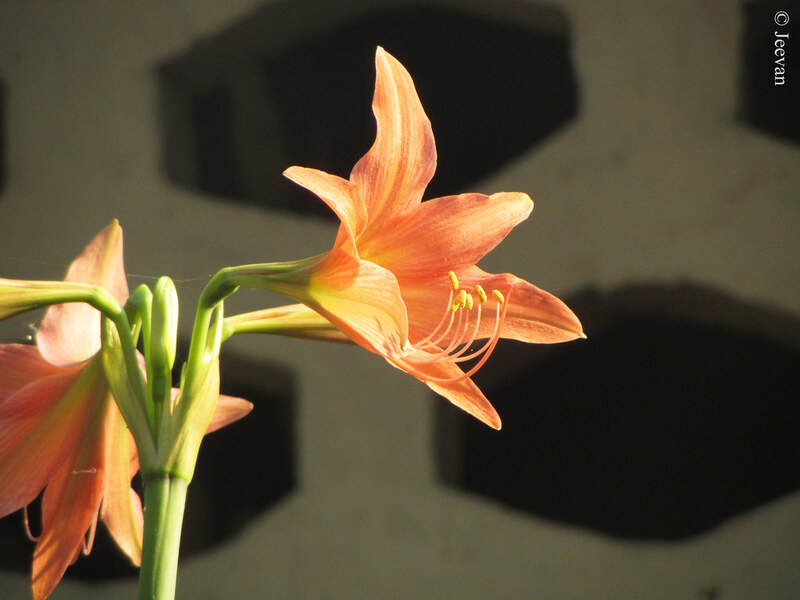 No, this wasn’t shot at Greece… but at our graceful ECR! The pretty blue gate belong to a beach house off east coast road (ECR) in Chennai, and if you take a closer look at the picture (click for enlargement) could see the blue sea between the gates which blocked by the pillar. 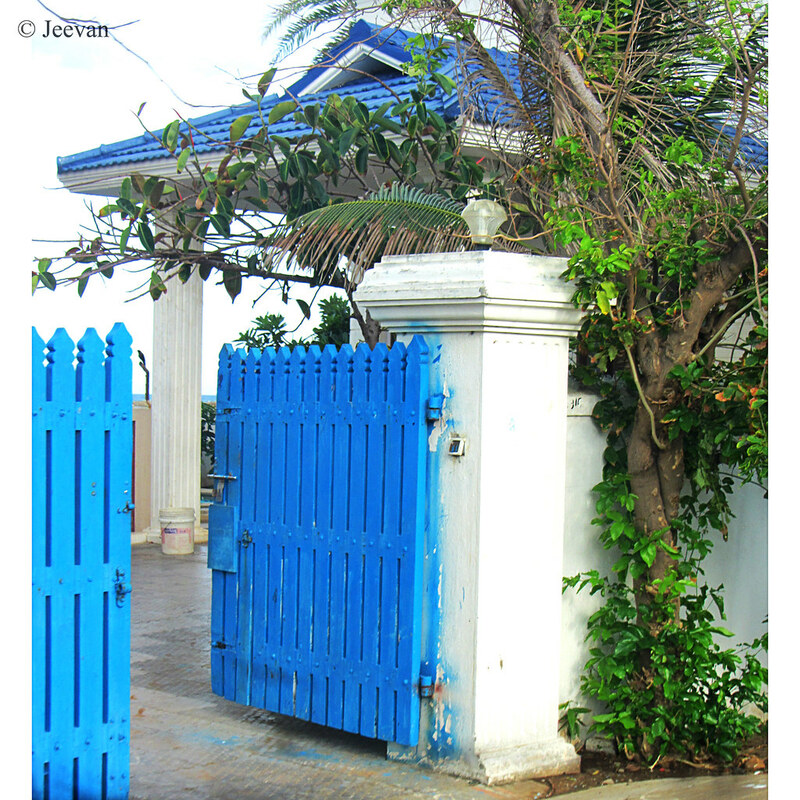 The twisting of tree with green leaves, beside the gate, leans prettiness to blue and white combo. 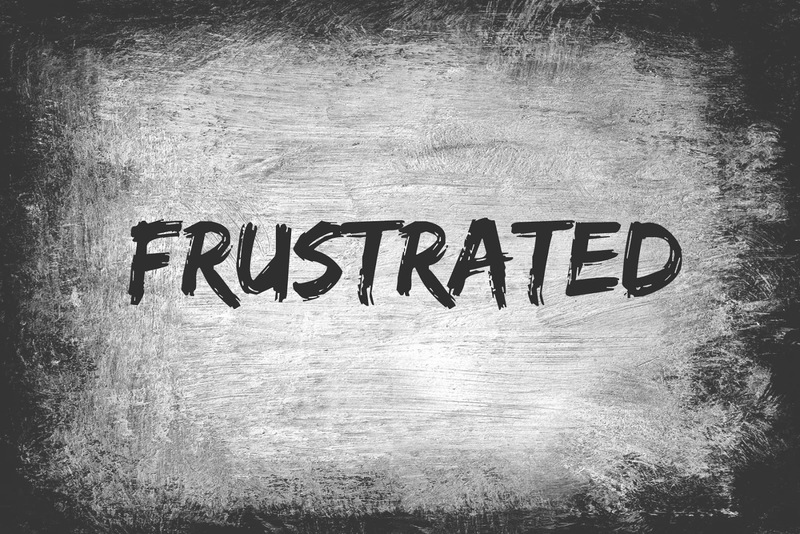 There are some people where we get irritated once they open their mouth to speak and make feel when they will shut up. There are some people really know many things and have an idea on almost, which isn’t a bad but while appreciating the same, we can’t kept listening whatever they says. In a communication or debate only one side couldn’t be taken into account. On first time listening, one side perhaps would sound wise and right, but for that alone we can’t give up without giving a chance to the opponent to express to know what their hold. One might attained great wisdom and is conceptual and fruitful… but attitude ways doesn’t need to be same. He perhaps factual but the way he delivers the matters is more than what he is or he knows. He should be driving on the right path but how he follows the rules and safe his ride lies on the way of driving his vehicle. I appreciate people who lead through their experience more than education because they all experience life rather reading someone’s. But a basic knowledge is always need for the betterment of life, whatever the carrier one chose and to direct him properly and legally a basic sense is needed. I know someone who haven’t completed his high school but in a short term, has achieved a great sense and began to talk like an expert. I know he had worked along his father and meeting different people and the experience at the workplace all brought him up to a state of mature. While I appreciate the guy and admire his confidence level of achieving, which many refuse to give thoughts, I condemn his way of behaviour and mocking others by his head weight. Almost he’s right on things and practical, but I was expecting a transformation rather reflecting as a mirror. What things right for someone couldn’t be the same with others and it doesn’t need to be though, but what’s right should be exactly right rather what has been set right through the practice. I believe attitude is important and one may be accurate but poor at delivery mislead all. 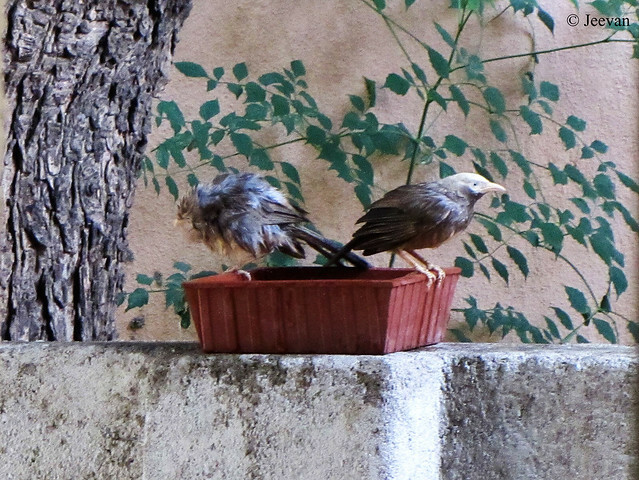 I want to have a birdbath for long time and when I was residing at Kottivakkam in 2013 (a neighbourhood area) I use to place a steel water bowl for birds to drink and bath, but I gave up when happen to move to couple of places. I was looking for a birdbath made of concrete or mud but I couldn’t find it anywhere. I checked with flower pot makers and they have no idea what birdbath was. Thanks to the expose of bloggers from the western countries from where I learned and liked the birdbath. I searched at Amazon.in and I was surprised to find a little birdbath made of terracotta, from the Nature Forever Society to provide water for bird during the dry summer season. It wasn’t pricey but felt for that price (₹ 249) it could have been a bit larger for a couple of birds to take bath at a time… the birdbath came with three protective layers wrapped inside a box. 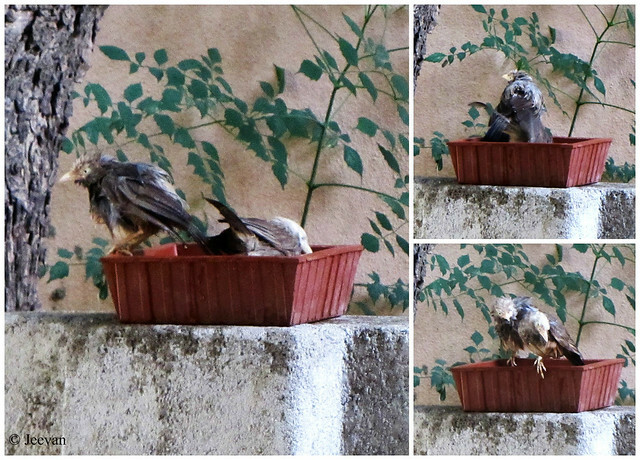 I placed the birdbath in front of our home on the compound wall facing the doorstep. I was looking forward to birds and could you guess which one came first? It was a crow, drinking water last week and few time monkeys quench thirst. Two days back, by chance, I looked out during the afternoon, and was happy to find the Yellow Billed Babblers were cheerfully bathing at the birdbath. One by one leap into the birdbath and come out sprinkling water to look little skinny but there were more than two birds at the bath before arrive with camera. The birds which were quickie leaves sooner they took bath and the pictures were shot in hurry. The Yellow Billed Babbler is a grey color bird with light grey shades on head and belly and it forage by tiny flights on the ground or low blanches. I’m always passionate about nature but lately I also grow interest on architecture, sculptures and anything that comes out in art form. Nowadays, wherever I go I look around for interesting buildings, structures and fences and gates includes the watch out. 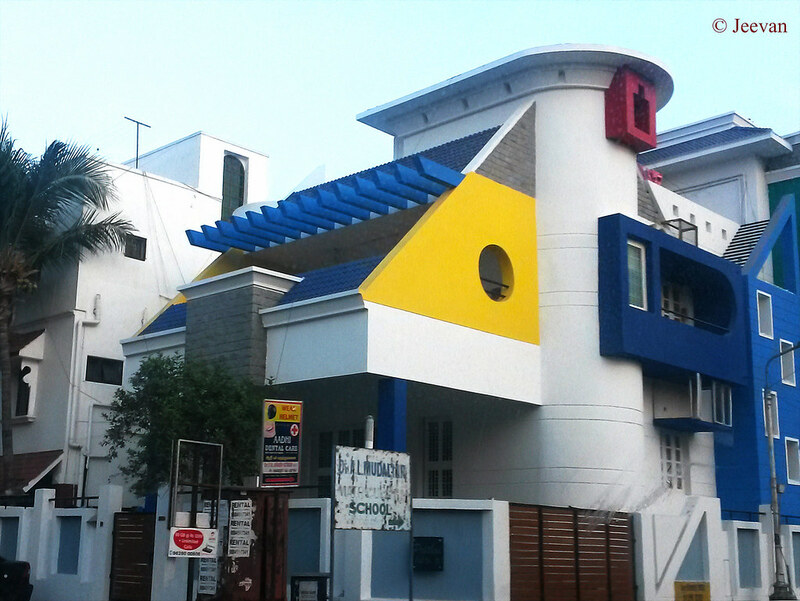 In recent time I happen to shoot many various aspects of buildings. Thanks to Instagram, a platform I am more active now and the instant and easy uploading and editing option inspire me to post many photos relevant to same. Today I share a couple of gates with few similarities. First, both the gates here have a similar design and one (pic above) was painted white and the other in Ivory coat made difference by shades. Second, the gates were belonging to the restaurants and cafés, named Star and Embrace. 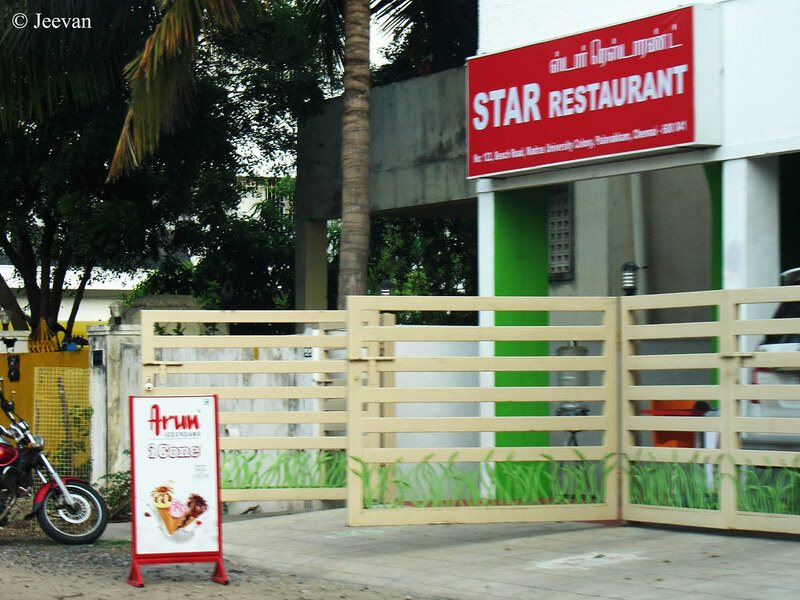 Star is a newly opened mini restaurant come ice cream centre on the road to Palavakkam beach off ECR. And Embrace comes on the ECR (east coast road) close to Delhi Dhaba and both were café alike restaurants and nothing to say more. 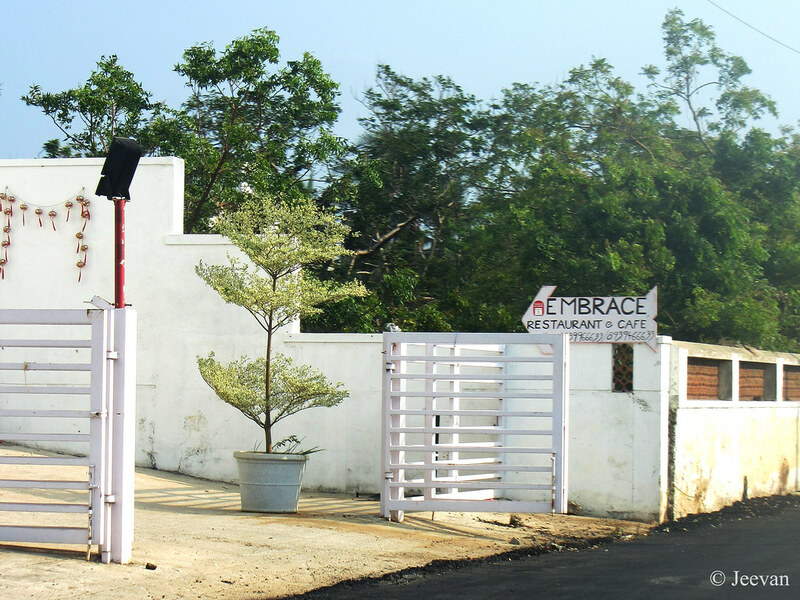 Additional to the gates I like to include a house which I found very pretty on the road leading to the Palavakkam beach. Actually it was the colors that attracted me but at close I also enjoy the modern architecture of the house and the colors differentiating the different aspects of the house. Colourful balls (comprising red, green n blue) and other goods hanging outside a shop at a little town called Kavindapadi near Gobichettipalayam. 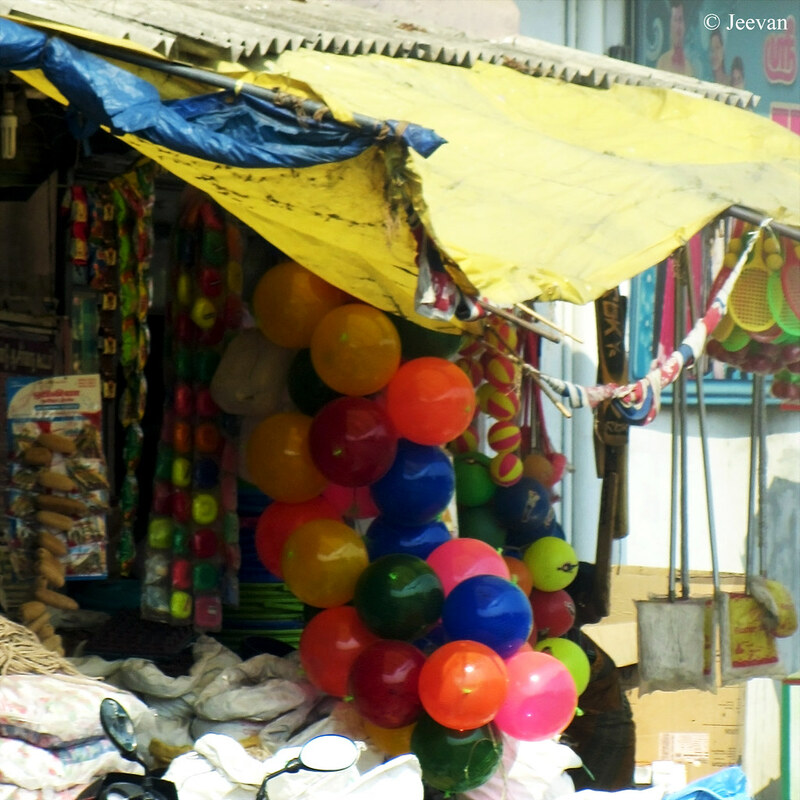 During our travel to Nilgiris, we stopped there to buy sweets and snacks to my dad’s friend house near the town. I got to shoot few more interesting scenes there which I would share later. 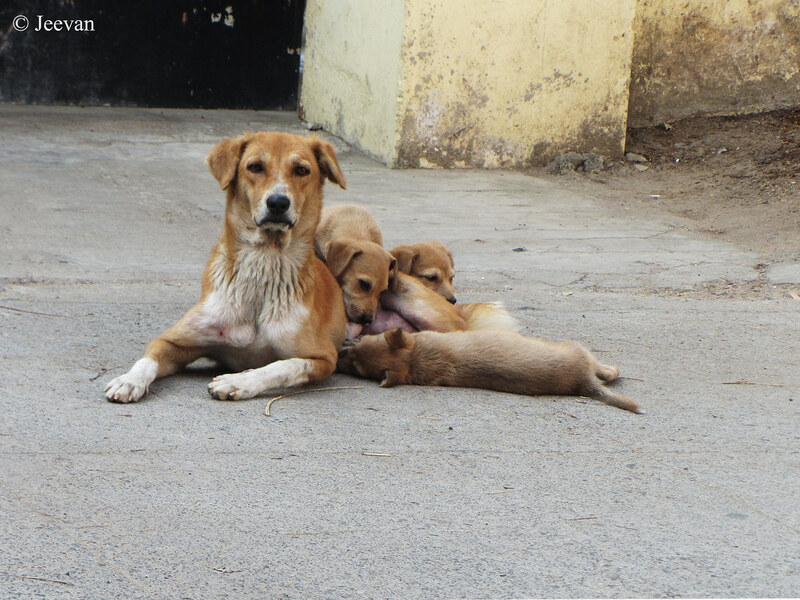 One of our street dogs feeding its pups on the roadside near our home. The picture was shot few months back and the pups were well grown now to turn more than a dozen stray dogs in our street. Couple of pups were taken by some to grow and the remaining joined with the existing dogs. When we shifted to this street in 2015 there were few dogs, but now has grown into a gang and sometime it does quite annoy at nights. Having a pup at home it’s not possible to keep away the disturbance and when one starts to bark the others join in barking war and sometime dad have to shoo them away at night. Last year, the same dog gave birth to 7 pups and no action has been taken to control the growth of dogs in our street. Two days back I saw couple of ladies feeding the many dogs with biscuits at the street end and one was fondly caressing the little ones, but I wonder do they really care about the numbers being increased? Only that day I saw all the dogs at a place and the numbers really put me awe. 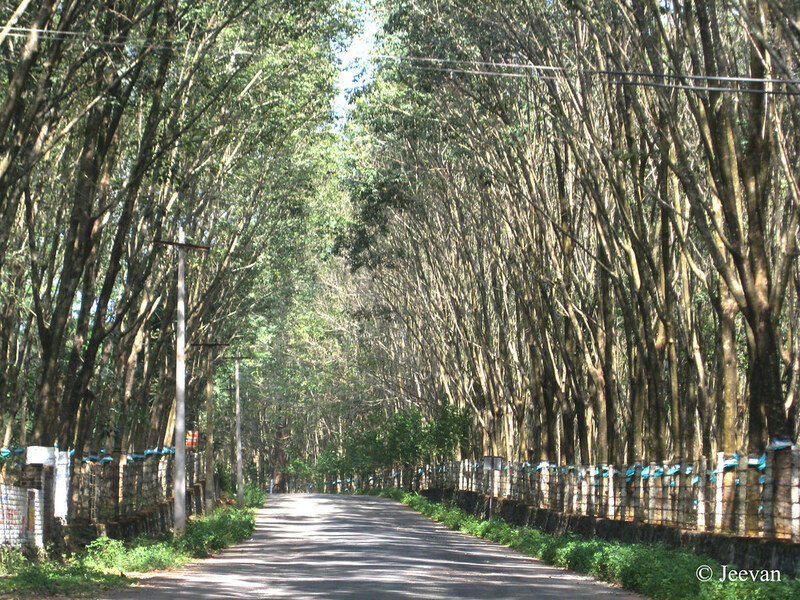 During a visit to Kanyakumari and while coming back from Pechiparai Dam, we stopped by a rubber plantation with the road passes between the estate. 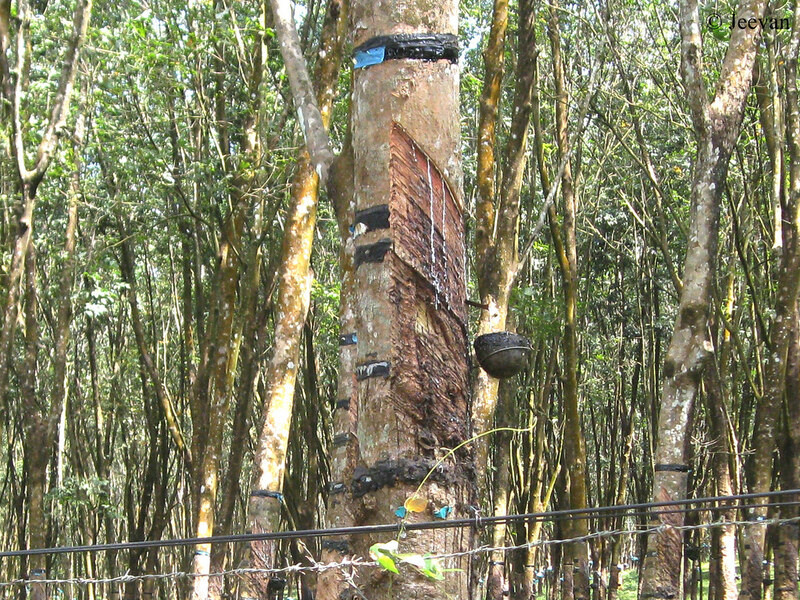 It was the first time I got to see rubber trees and each tree was tied by a coconut shell along the trunk and the top layer has been removed for the rubber milk to flow into shell. The milk is collected later and processed to form rubber sheets which left to dry for few days before transported to various purposes and use. 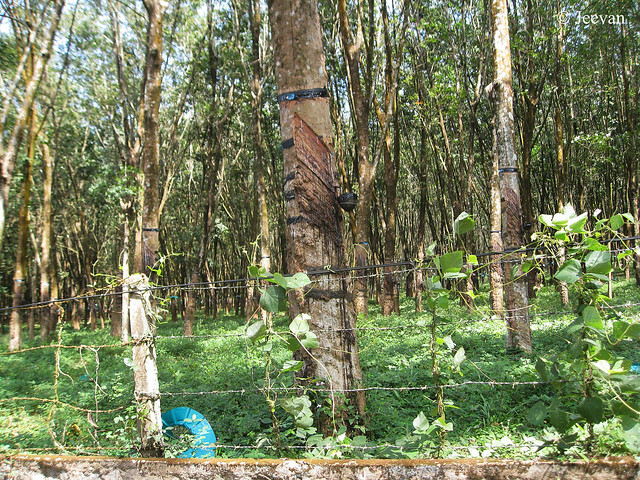 Kanyakumari is the only district in Tamil Nadu where rubber is produced and among the available of 19233 hectares of rubber plantation, 24020 tonnes of rubber is produced annually. Though Kerala is the leading rubber producer in India, Tamil Nadu contributes 3% of the total natural rubber production in India, which is no.4 among the top ten rubber producing counties. The geographical location of Kanyakumari helps doing excel in rubber industry, with adequate and well distributed rainfall in the Western Ghats. In the southern region, Tamil Nadu is the second major producers of natural rubber and the rubber goods are manufactured both in the organised and small-scale sectors. And the manufacturing is mostly like tyres, tubes, belts, balls, washers and rubber sheets. Following Kodiveri Dam, we halt at Sathyamangal for the night stay. My cousin had booked at the Sathyamangalam guest house for us and it lies on the bank of Bhavani River. It was over 6 pm when we reached the guesthouse and the staffs were awaiting for us, and they took care of our need well. Actually there isn’t a need for them, because things were fine on their own and the couple of rooms were spacious with one air conditioned. I was surprised to see a ramp facility at the entrance of the house, which claims 5 steps. I really enjoyed staying at this guesthouse, though it is a very old house and tiled roof, the interiors are renovated for moderate suite and its natural environment of river and trees around turned to be my favourite. 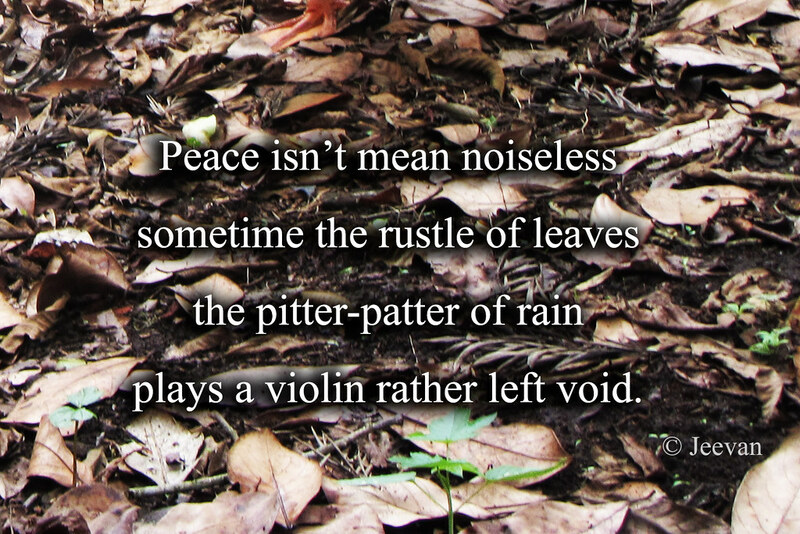 When we arrived, found number of birds (mostly herons) perching on and off the branches of the trees while making the river its hunting pool, there was noise of birds amid the silence. At morning I got to listening different sound of birds and clear picture of things around. Orange lily, showing stamens with pollen-covered anthers shot at the courtyard of the guesthouse. The night spent comfort and cool under the AC and the weather wasn’t bad like the day time and it’s less hot because of the wind. But we experienced abundance mosquitoes outside the room and though they come and sit large on our skin doesn’t bite surprisingly! But one or two does. The dinner and breakfast was bought from the restaurant nearby and I really liked the ven pongal and idly as morning tiffin. Once finished the morning activities I was out with my camera to take photos around. The guesthouse is built facing the river and there’s a separate stair (but locked by gate) to get down to the river and I really liked the architecture of this house with wide portico and corridors on both sides. 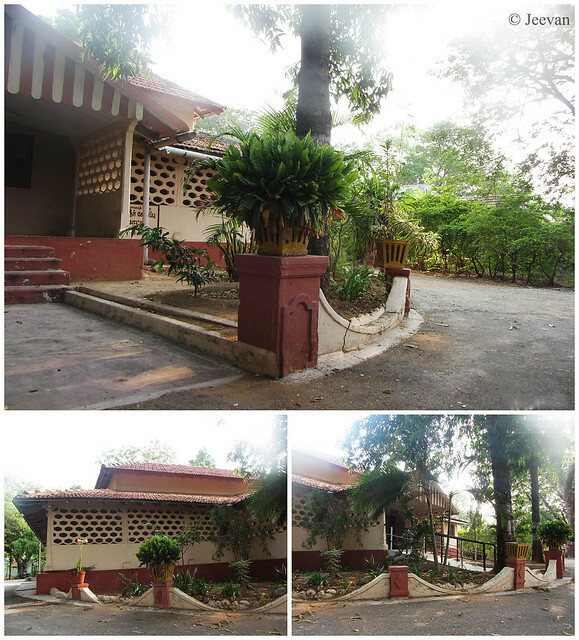 The courtyard is simply beautiful with flower pots, plants and trees giving a nice green environment to the house. 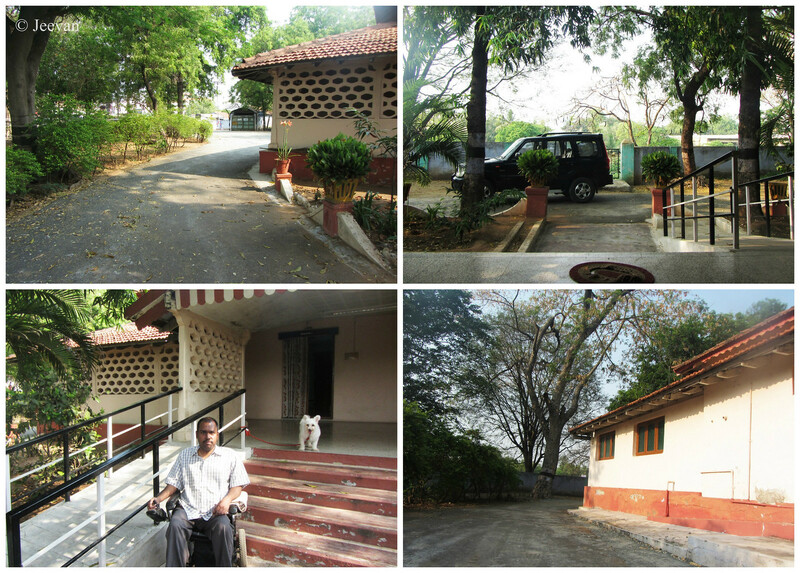 The guesthouse belong to the highways was maintained well and their provision of ramp proves their concern for unable people and the couple of staffs were friendly and shareable. 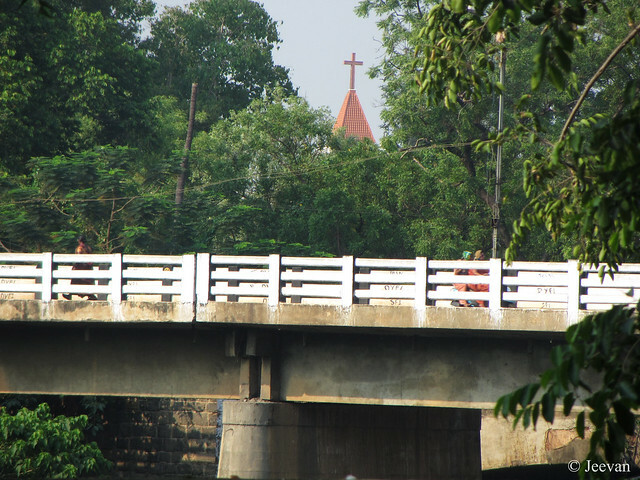 From the guesthouse we could see the activities on the bridge across the river that connects Mysore road. And beyond that a steeple rose between the trees. 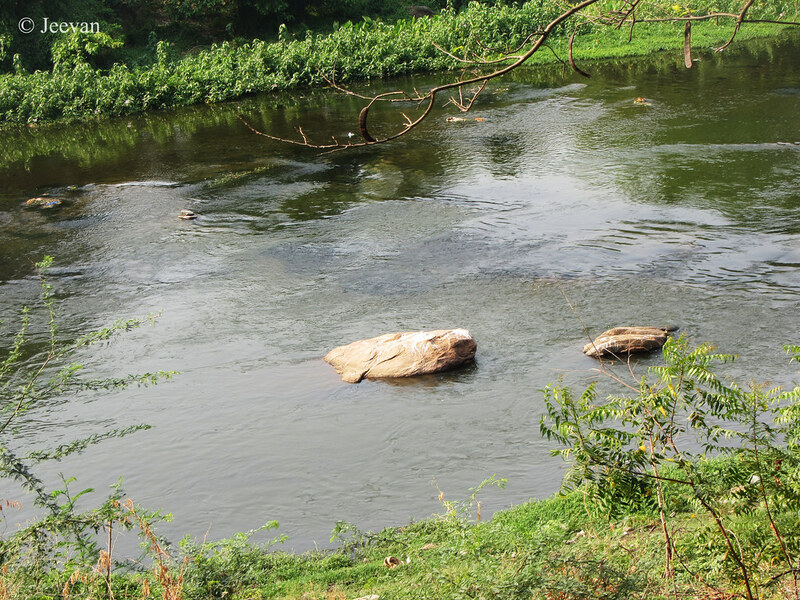 The water flow in the Bhavani River is very less and this’s the water that overflows as waterfalls in Kodiveri dam. We moved out of the guesthouse after the breakfast and drove towards Athikadavu on the foothills of Nilgiris. After checking Lovedale railway station, near Ooty, on the 3rd day of our travel to Nilgiris we encountered a Bison while looking for a place to have lunch. Driving further on the isolated Lovedale road adjoining the backyard of the Lawrence School we come to halt on the roadside to have lunch, but we unnoticed there was a Bison (Indian Gaur) standing at a height of about 15 foot vertically from where we stood. We almost decided to get down but heard the rustle sound in the bushes above and it was a bison grazing and hiding among the bushes. Though it isn’t a huge one and standing on the edge of the vertically down, it’s impossible for it to climb down or leap off but parents were not willing to stop there so we move on to another spot. 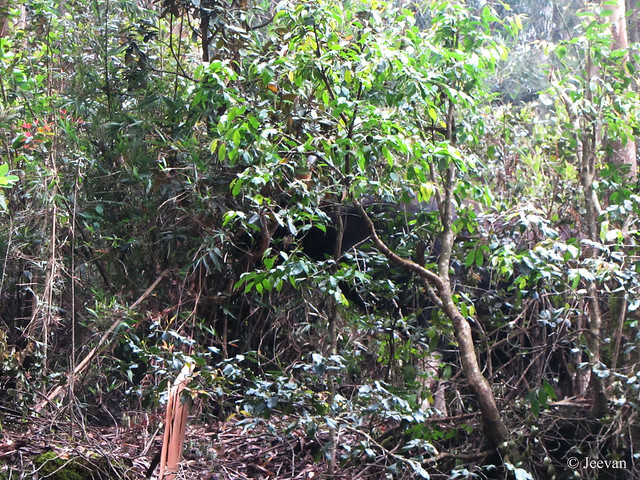 Before doing so, tried to capture the Indian gaur hiding in the bushes and what you see here were visible then. The Indian Bison or Indian Gaur is a strong and massively built species, the largest extant bovine, native to South Asia. Gaurs are black in color while females are brown, but both the hide of male and female Gaurs is white below the knee of each leg. 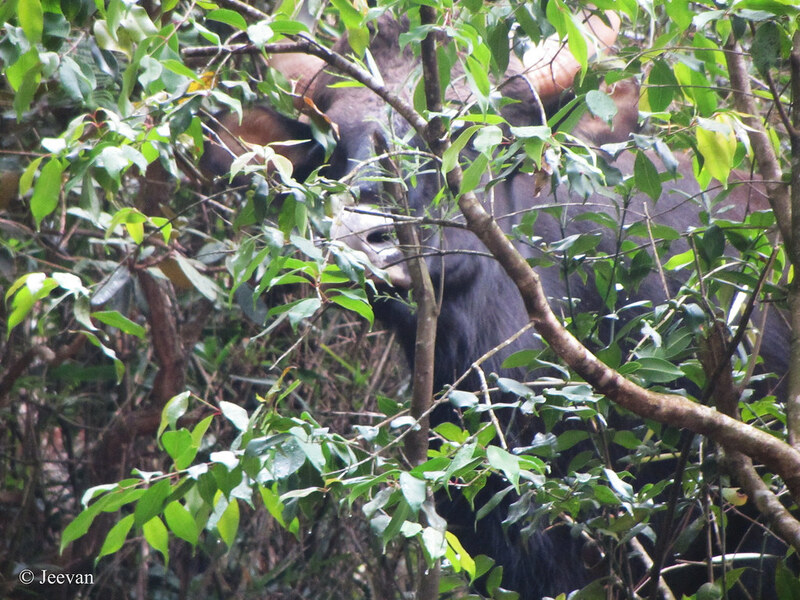 I have seen Indian gaurs in the mountains of Kodaikanal and Valparai, but it continues to excite seeing in wild. The yellow gate and the wall is a cropped version of the photo I shot on the façade of the first amusement park of Chennai, VGP Golden Beach and Universal Kingdom. 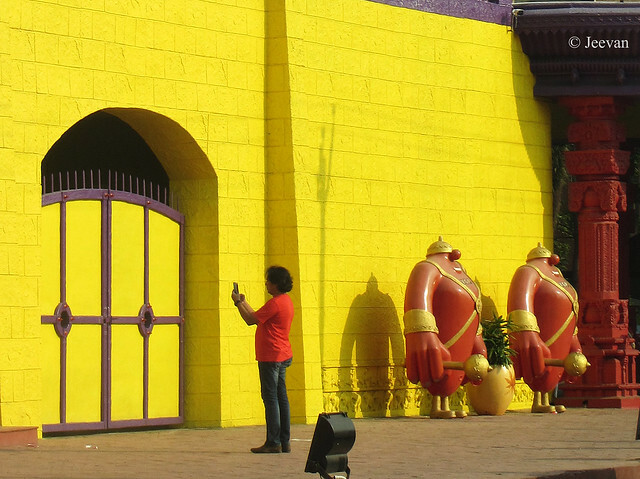 There you could see someone taking photo on the gate or selfie, but I don’t have logic for him to take selfie with road behind him from where I shot this, from the slowly moving car. 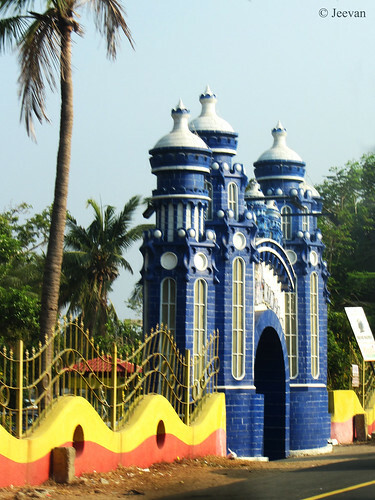 Past the main entrance I got to shoot a blue gateway, belong to the same amusement park with parking lot inside. I had no idea about the gateway until Google down to know it’s a gateway to the Snow Kingdom, a part of the Universal kingdom, a family amusement park. Actually I decided to shoot this gateway for its beautiful architecture and coated in blue and white. The fence along also has a nice wave design. Apt to the name of the amusement park (Universal Kingdom) the entrance has a wonderful look of a realm which I will post on some other time.